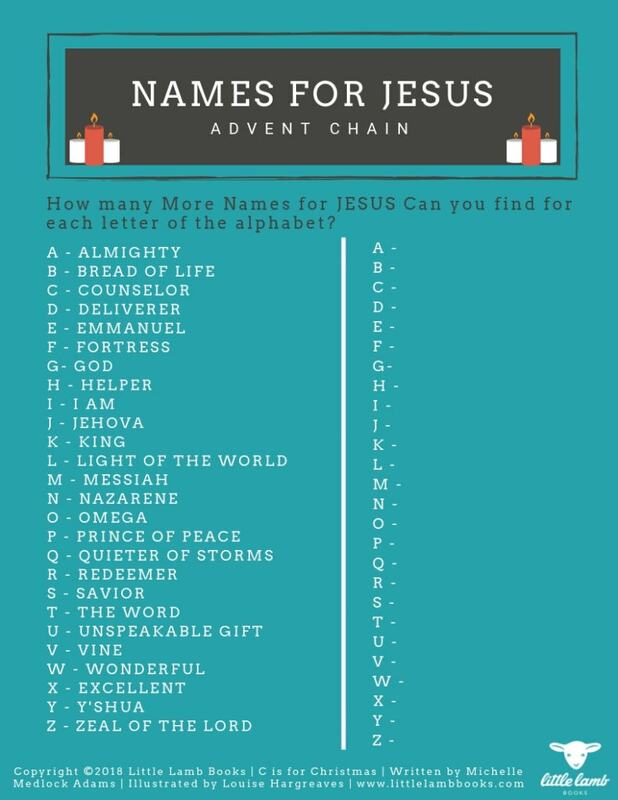 It’s time to get crafty for Day 8 of the 12 Days of C is for Christmas as you make a Names for Jesus Advent Chain leading up to Christmas Day. Directions: Print out our printable and let your young reader find more names for Jesus from the Bible. Then, using two different colors of contruction paper, have them write the names out with half on one color and half on the second color. 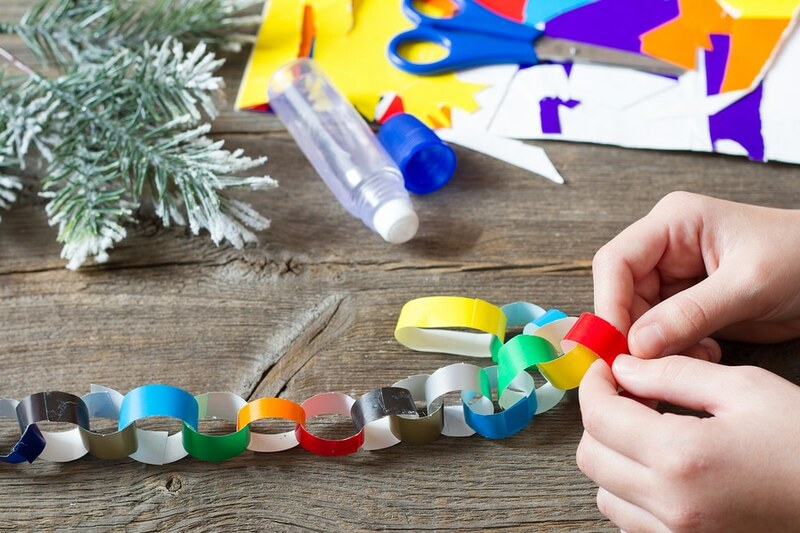 Then, cut the construction paper into strips (even numbers of the first color/odd numbers for the second color) and attach them to one another using glue, tape, or a stapler (if Mom or Dad is available to help). You can either do one name each day OR make a chain all at one time and use it to count down to Christmas and the Birthday of Baby Jesus. This is such a great way to not only celebrate the season, but introduce your son or daughter to the various names of Christ, the different scriptures in the Bible, and how, no matter what name we use, JESUS is the Savior of the World and He loves us unconditionally. We have a variety of printables and family activities for each day of our 12 Days of C is for Christmas! Each freebie, except for the a Holiday playlist via Spotify, is available under the Shop tab on our website. C is for Christmas is written by award-winning and bestselling author Michelle Medlock Adams and illustrated by the lovely Louise Hargreaves, and combines the story of the first Christmas with present-day traditions.